Hello, my name is Samantha Liebensohn and I am from Westchester New York. It’s not the city, it’s not farmland, it’s just typical suburbia. I am currently a sophomore here at Penn State in the College of Communications, with an intended major in Public Relations and a minor in business and international affairs. The reason I am not planning on being a science major goes back all the way to the good old days of sophomore year in high school. Well actually, the not so good days if we’re being honest. I took Chemistry honors with a hopeful and open mind of the science world. But then I actually had to take the class and learn the material. I literally could not tell you one thing I learned from that class, not from a lack of studying or from not doing the work but seriously because I could not understand anything from the material. I almost felt bad for my teacher because I was constantly going in during lunch or staying after school for extra help but still to no prevail I could not digest the information. Which leads us to this blog post. 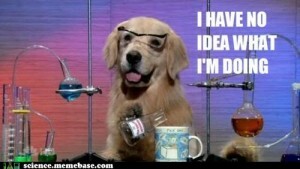 I am not a science person, I do not do well in labs, or memorizing formulas. My brain just doesn’t work like that. Which is why when I heard about SC 200 a class about critical thinking, a science class for non science majors I knew it was for me. It would introduce me to important topics that I would love to be knowledgeable on and push me to think in ways that I haven’t before. I was excited to not feel dumb in a science classroom and yearned for the satisfaction of actually learning something science related. Whether it was Andrew’s accent or the openness in the lecture hall i am confident that this class is for me. I am looking forward to what this semester will bring. This entry was posted in Uncategorized on August 30, 2016 by Samantha Liebensohn. Sorry to hear that you’re not a fan of chem.. Here’s a video that will hopefully change your opinion.